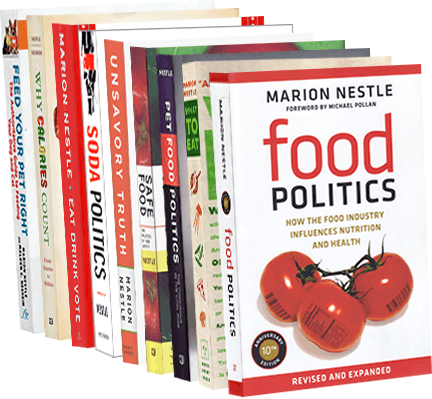 Food Politics by Marion Nestle » New York Times: the food revolution! New York Times: the food revolution! It’s been a big week for food politics in my local newspaper. First, the Obama’s new garden (see earlier post) and now Andy Martin’s recap of the events leading to the current push for a healthier and more sustainable food system. This starts on the front page of the Business section (note photo) and continues on to a full page on the inside. And in the Week in Review, Mark Bittman writes about the organic revolution. Full disclosure: I’m quoted in both. Is food the new tobacco?